Merry Christmas and Happy Holidays to all our faithful readers! Today’s Roundup will be the last of the year, as we prepare to give ourselves a little vacation and well-deserved break after nearly an entire year of weekly Roundups, which we hope you have been enjoying. We here are Coin Clarity wish you and yours the happiest of holidays, and rest assured, we will be back at it again in 2018, ready to tackle whatever mayhem and brilliance may evolve out of the ever-fascinating blockchain space. With massive, unprecedented gains that would put any high-flying stock listed on the NASDAQ or the pink sheets to shame, bitcoin truly entered the mainstream limelight this year, starting at just below the $1000 mark on Jan 1st and ending slightly above $17,000 (as of the writing of this article). By doing some easy math we can calculated that if one had invested at the beginning of the year, they would currently be sitting on a 17-fold return. Not bad. As a matter of fact, bitcoin beat out all other investments of anything close to its size that is available for trade on the open markets, leaving onlookers stunned, investors on the sideline wishing they had got in earlier, and long-term “HODLers” extremely fulfilled. 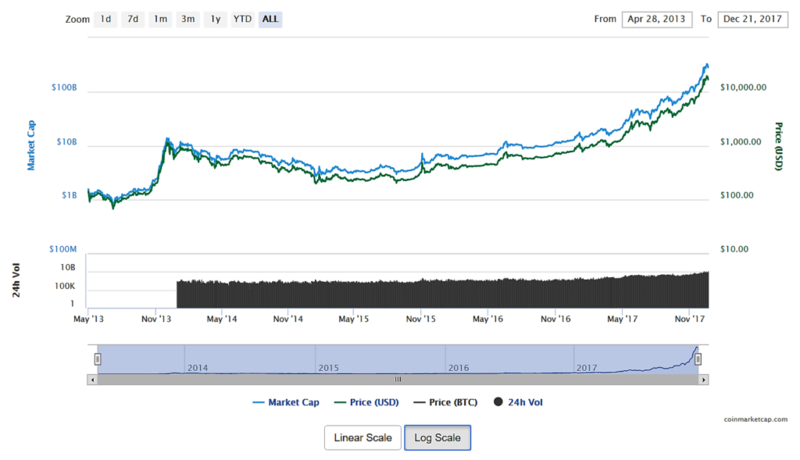 When we analyze price gains by dollar amount, 2017 was BTC’s best year. By percentage amount, only the rapid climb from mid-2013 to the end of that year, quickly followed by the fall of MtGOX, beats what happened in 2017. However, unlike December 2013, there has been no massive price correction — yet. Regardless, 2017 is being hailed as the year that “bitcoin became anti-fragile” as the long-awaited Wall Street whale money finally began to pour in, providing market liquidity and sustainability in price rises that early adopters and pre-2017 investors had been hoping for. Those who had dabbled with bitcoin in the past are rooting through dumps looking for old hard drives that might contain bitcoin they may have mined or purchased in the early days. Some users are even resorting to hypnotherapy in an attempt to help them remember forgotten passwords to locked bitcoin wallets that contain potentially life-changing stashes of the digital currency. Unhacked, unbreakable and still largely unregulated, the public caught on to the true value and possibilities of a currency that cannot be manipulated by any one person of government body: the value of financial freedom. Through the revolutionary breakthrough of the invention of the blockchain, a near-autonomous and anonymous network of bitcoin nodes has proven that decentralization can be an extraordinarily powerful thing, especially when applied to finance. Decentralization has also proven itself powerful via wildly successful internet experiments like the TOR browser, Wikipedia and WikiLeaks, which are all non-profit organizations that run solely on donations and the goodwill of the public. Instead of relying on federal or corporate governance, these projects rely on a network of users who all have one thing in common: the value of freedom over profits and money. Though bitcoin intertwines profit seeking behavior with the philosophy of decentralized oversight and has replaced the use of traditional transaction methods in some ways, it is generally thought to pose no systemic financial risk to government backed, fiat currencies. Its legitimacy as a store of value has manifested itself in the form of bitcoin ETF and futures listings on regulated markets. In something of a snowball effect where more and more investors accept bitcoin as a legitimate commodity, encouraging others to then follow suit, the idea that its price will head much higher next year is not entirely ridiculous, despite the bitcoin network facing all-time highs in transaction fees and network congestion that have accompanied the monstrous rise in price this year. With e-currency based on cryptographic proof, without the need to trust a third party middleman, money can be secure and transactions effortless. 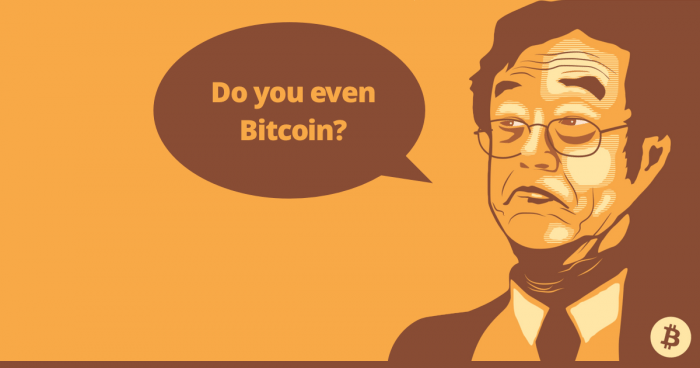 – Satoshi Nakamoto, on bitcoin as a P2P (peer to peer) currency, 2009. Though the bitcoin network does indeed remain secure, and will likely continue to be so (until the advent of household quantum computers, perhaps), record-high transaction fees (currently between $10 and $50) are no longer “effortless;” after all, who is going to pay a total of $60 just to send $30 worth of bitcoin at a decent speed? The average bitcoin transaction is now close to $100,000 in size, meaning that it is no longer a universal currency to be used worldwide and by all, but is being used mainly by the extremely wealthy, undercutting Nakamoto’s utopian vision of bitcoin as a tool for financial freedom for all. Though several prominent altcoins attempt to compete with bitcoin by offering far lower transaction fees (the average Bitcoin Cash transaction fee is currently about $0.90, and the average Dogecoin transaction fee remains 1 DOGE, or less than 1 penny), online merchants and vendors who are just beginning to get comfortable with the whole idea of bitcoin now have the problem of having to deal with setting up multiple wallets to accept multiple coins, and then figuring out how to turn those coins into fiat currency. Coinbase, the world’s premiere bitcoin exchange, decided to help solve the problem by offering support for Bitcoin Cash (BCH) users, allowing them to purchase it directly using money from a credit card or bank account, but this feature was quickly shut down as allegations of insider trading of BCH recently came to light, leaving those wishing to purchase BCH again in need of BTC in order to do so. Despite Coinbase removing support for BCH, bitcoin will be facing some serious rivalries in 2018. Roger Ver, the self-proclaimed “Bitcoin Jesus,” announced this week that investors should be ready to seek out alternatives in the case that a bitcoin bubble should burst, and indeed, as bitcoin stagnates between the $16,000 and $19,000 levels, investors are again on the look out for the “next big thing,” with some top altcoins seeing massive price gains over the last week. Charlie Lee, the founder of Litecoin (the first “altcoin”), which currently sits at #4 in terms of coin market capitalization, recently announced he had sold off all his Litecoin (LTC), in attempt to remove himself from any “conflict of interest” with his wildly successful creation. Perhaps this was also a brilliant investment move as LTC has shot up over three-fold during the last two weeks. 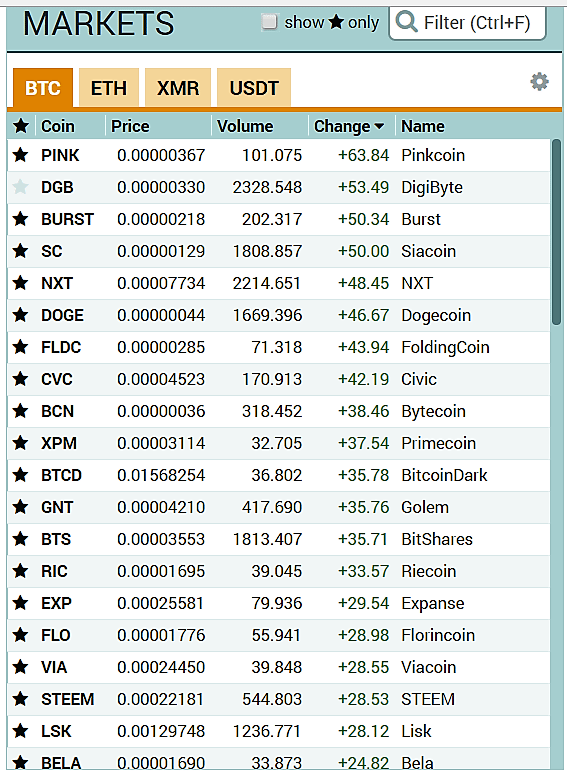 Coins like NXT, NEM, Ripple and DOGE have also seen massive price gains over the last couple weeks, signaling that Wall Street whales are perhaps diversifying their crypto portfolios as they become more comfortable and savvy with the technology. All in all, 2017 was an exciting year for cryptocurrency – from the rise of bitcoin and Ethereum (ETH) to the billions of dollars being poured into ICO projects – and we do not foresee 2018 being any less exciting. So, stay tuned, sit tight, and keep your eyes peeled on your investments. If you’re a long-term investor, congratulations, you’ve been doing quite well. If you’re a short-term investor or day trader, well, you also are exposed to some magnificent, ongoing opportunities in the world of digital currencies, which require extreme diligence while monitoring. Though we here at Coin Clarity do not possess a crystal ball of any sort, we do predict blockchain technology to continue to work itself into more aspects of every day life next year, even if it doesn’t come in the form of bitcoin or altcoins. Regardless of how bitcoin fares in 2018, Satoshi’s revolutionary invention of the blockchain is here to stay, and we can’t wait to see what happens next. Merry Christmas and Happy New Year’s from your faithful Roundup writer, entertainer and co-pilot, Cyrus, wishing you all the best in your crypto adventures in 2018.